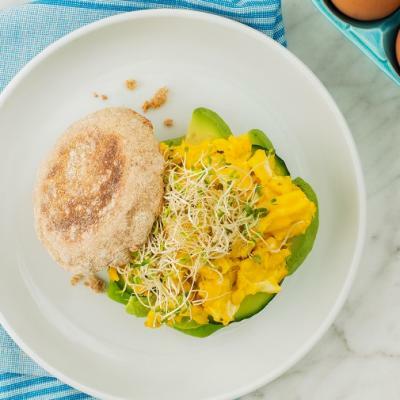 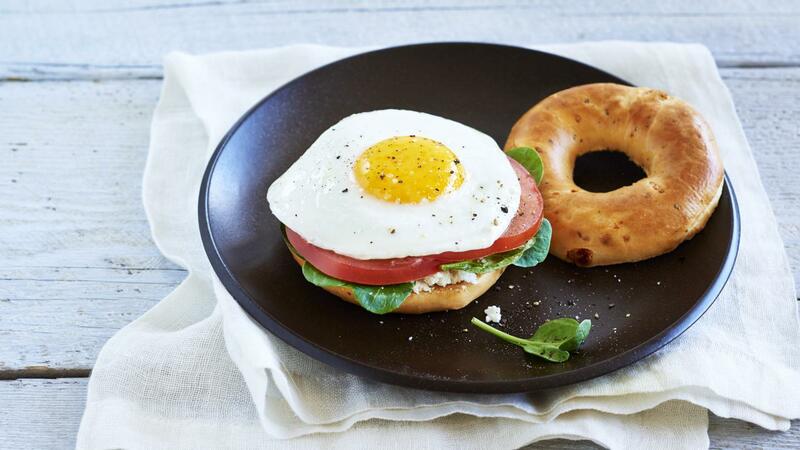 Try this egg and bagel sandwich for a quick weekday breakfast that can be taken on-the-go! 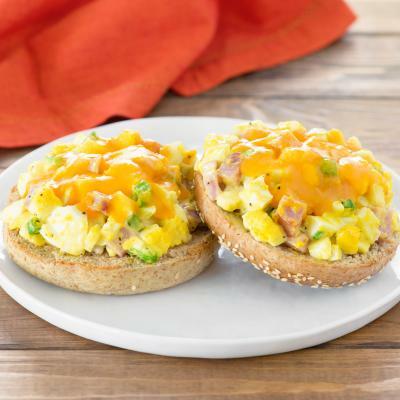 Cook eggs in a non-stick skillet until desired doneness and arrange over tomatoes. 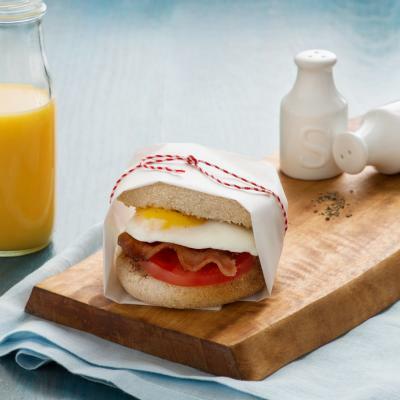 Sprinkle with salt and pepper and top with remaining bagel halves to make sandwiches.